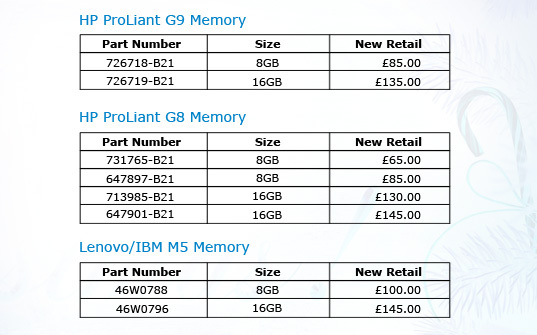 A selection of our best-selling Memory Upgrades is already here! Buy from the server specialists. *Prices are in GBP and do not include VAT or Delivery, unless otherwise stated.